Thank you so much for visiting this site and endeavoring to read this blog. The purpose of this blog is to talk a bit about the process of creating the Starting Something series and share some additional thoughts and musings. First, an introduction is in order! My name is Julie Casper Roth, and I joined WMHT-PBS as a producer/director 8 months ago. In addition to producing documentary content for WMHT, I’m an educator, and an independent artist/filmmaker. My work takes me throughout the viewing area and beyond and connects me with fascinating people ranging from grassroots organizers to LGBT activists, to armchair historians, to families, to experts in their fields, to many, many others. What I love most about what I do is the fact that I get to meet all sorts of people with many different experiences. I revel in the stories people tell and the fascinating lives that they live. Everyone has a story, and your story, I guarantee, is a gem. 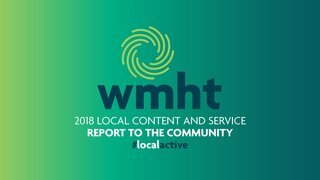 As for my short tenure at WMHT, I joined the station in early January and was immediately asked to think about the identity of our region. Some people see our region in terms of its political identity. Others experience it as a growing technological hub. And others experience our region through individual neighborhoods – distinct geographic areas with specific strengths and challenges. How does one come up with a blanket identity that encapsulates all of these unique – and sometimes disparate – experiences? After visiting the stories of our region over and over again, I’ve discovered that there’s really only one stand-out connector: the historic and contemporary drive of our community’s members to innovate. I hesitate to use the term innovation as it is often paired with technological prowess. However, I use the word in this context to signal social and community innovation as well as scientific innovation. For instance, look at North Troy and the community-fueled growth of urban farming and sustainable living. That’s social innovation. Such innovation has been the hallmark of Dutch settlers, of early African American activists, of community organizers, and of many others in the area. As a filmmaker and artist, my personal concern is that – historically – the mainstream has been dominated by top-down storytelling. Historians, CEOs, and experts are camera-ready and considered tidy enough to interpret stories. While some of this is definitely important, it’s my goal to make sure that the stories and perceptions of real, everyday people (people actually living out events) are told. I certainly get excited when a historian or theorist comes to town to give a talk. But I also get excited when I see someone in the grocery store who participated in a town hall meeting. As a media maker, I want to esteem the experiences and ideas of everyone around us – not just those at the privileged top. That’s where Starting Something comes in. Starting Something shares the stories of people in our communities. It puts stories behind the faces we see at the grocery store or in the park or at a community event. Furthermore, it invites us into local lives and experiences we may not otherwise venture to see. It is my hope that by sharing the diverse stories of people in our area that we can learn more about others and make meaningful connections with faces that, until now, were nameless or in the next neighborhood/business district over.